Darwin is home to more than 400 species of birds – it’s a birdwatchers paradise! There’s a heap of different ways that you can experience the beauty of the bird population in Darwin and surrounding areas. Here’s just a few to get you started. If meeting fellow birdwatchers, discovering new places and the ease of a pre-planned trip tickles your fancy, then you may be interested in joining a birdwatching tour. There are plenty of tours to choose from in the Top End, so you’ll be spoilt for choice. If time is a constraint, there are morning or afternoon tours available that won’t even take up a full day. Spend the early hours of the day in pursuit of a rainbow pitta or the gorgeous rose-crowned fruit-dove and still have an afternoon free for other activities. There are also full-day tours on offer where you’ll be able to explore rainforests, wetlands and woodlands. Or, if you have a bit more time up your sleeve, why not take part in a multi-day tour. A three-day tour will see you from Darwin to Katherine; keep an eye out for the hooded parrot in Pine Creek and the rare Gouldian finch as you make your way down to Katherine. There are longer tours available as well, including a seven-day trek from Darwin to Kakadu or a ten-day adventure that crosses the border to Kununurra in Western Australia. 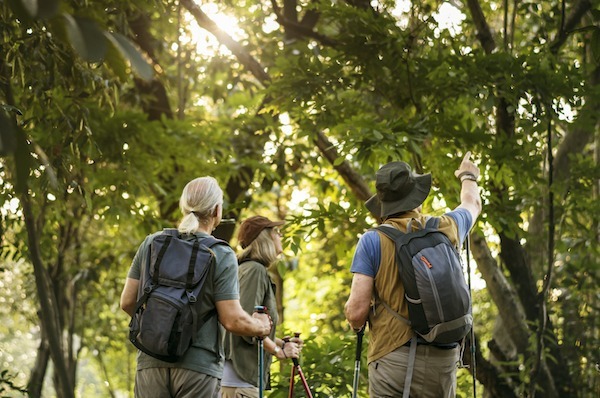 If you’re more interested in venturing out on your own, then there are plenty of places to spot the wildlife in Darwin itself, like George Brown Botanic Gardens or East Point Reserve. Or, you can venture out of town to places like Mary River National Park, Fogg Dam Conservation Reserve and Litchfield National Park. If you are heading out on your own, be sure to do your research first! For the best experience, it’s important to know whether you’re visiting the area in the right season, and it’s vital that you’re familiar with the wildlife of the area and any safety precautions you may need to take.